"Best of all [was] the nameless North of Sigurd of the Völsungs, and the prince of all dragons. Such lands were pre-eminently desirable. I never imagined that the dragon was of the same order as the horse. And that was not solely because I saw horses daily, but never even the footprint of a worm. The dragon had the trade-mark Of Faerie written plain upon him. In whatever world he had his being it was an Other-world. Fantasy, the making or glimpsing of Other-worlds, was the heart of the desire of Faërie. I desired dragons with a profound desire. Of course, I in my timid body did not wish to have them in the neighborhood, intruding into my relatively safe world, in which it was, for instance, possible to read stories in peace of mind, free from fear. But the world that contained even the imagination of Fáfnir was richer and more beautiful, at whatever cost of peril." In a previous column I posted from The Poetic Edda the full version of "Fáfnismál," one of the poems which tells part of the story of the hero Sigurd/Sigurth, who has encountered the dragon Fáfnir. And I promised to follow this up with the full text of The Saga of the Völsungs. 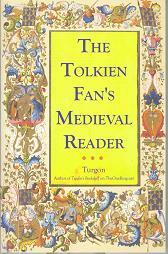 Here it is, in the translation by Eir�kr Magnússon and William Morris, first published in 1870. It's fairly long, but it's rewarding to read the story of Fáfnir, whom Tolkien called "the prince of all dragons." The other great dragon story in Germanic literature is that of Beowulf, a translation of which can be found in my Tolkien Fan's Medieval Reader (ISBN 1593600119 $14.95). "The Prince of All Dragons"